Can doing “a solid” for a former colleague turn into a rich and satisfying business partnership? You bet it can. 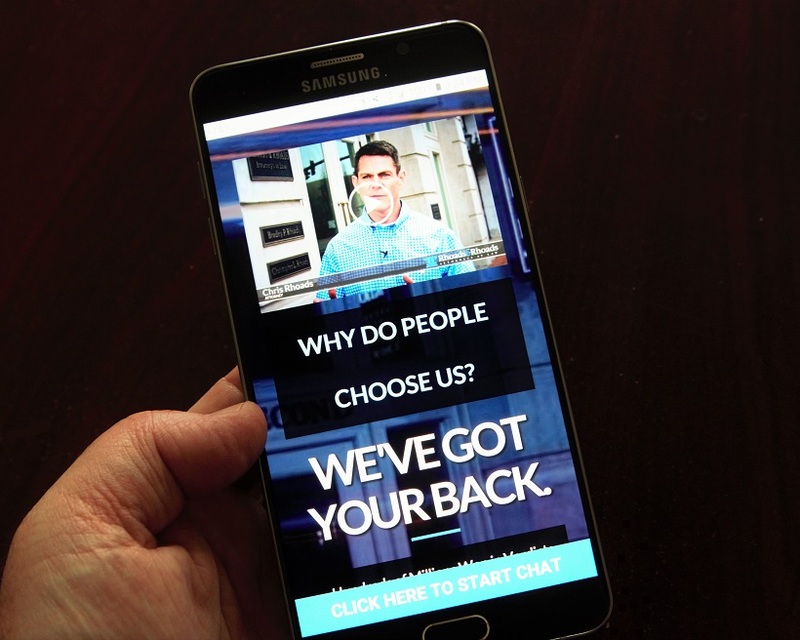 Earlier this year, EverEffect introduced website design as one of our core digital services. Headed by 20-year tech vet John Nichols and 15-year design wiz Andrew Sherman, this service combines user-friendly architecture, brand-defining content and effective search engine optimization (SEO) to not only drive a desired audience to your website, it will engage them to call, chat or fill out your company’s contact form. In other words, EverEffect websites put your best digital footprint forward, making the right impression to achieve your greatest return on investment. All of this comes to life brilliantly with our latest web design project for Kentucky-based attorneys Rhoads & Rhoads. Little does our strategic pro Allen Walker know, when he phones an old pal at a new job, that he would inspire a fantastic group of lawyers to take a leap of faith. They really believe in doing good for people. They provide services that other attorneys don’t, such as personal, faith-based and family counseling. They offer free services to those in need. They’re inspired by their faith. They love the work they do. They want to preserve what being a lawyer is all about for them. Their generous blessing really energizes our team to create the most genuine, sincere digital solution we could possibly deliver. We use custom web design; original photography and visuals; personal testimony and client recommendations; 16 fully produced videos and counting; targeted social; thoughtfully written content and a weekly blog (a first for the firm) to convey the feeling, emotion -and difference- of the Rhoads & Rhoads story. Ongoing custom work such as this, along with analytics informing every strategic decision we implement, will take your website over the top in terms of making that all-important first impression on visitors. What’s more, our 100% transparent reporting always gives you the whole story. The new RhoadsAndRhoads.com launched in June, about three months after EverEffect gets the go-ahead. That same day, Rhoads & Rhoads gets their first case generated from the web. The entire team was so excited! 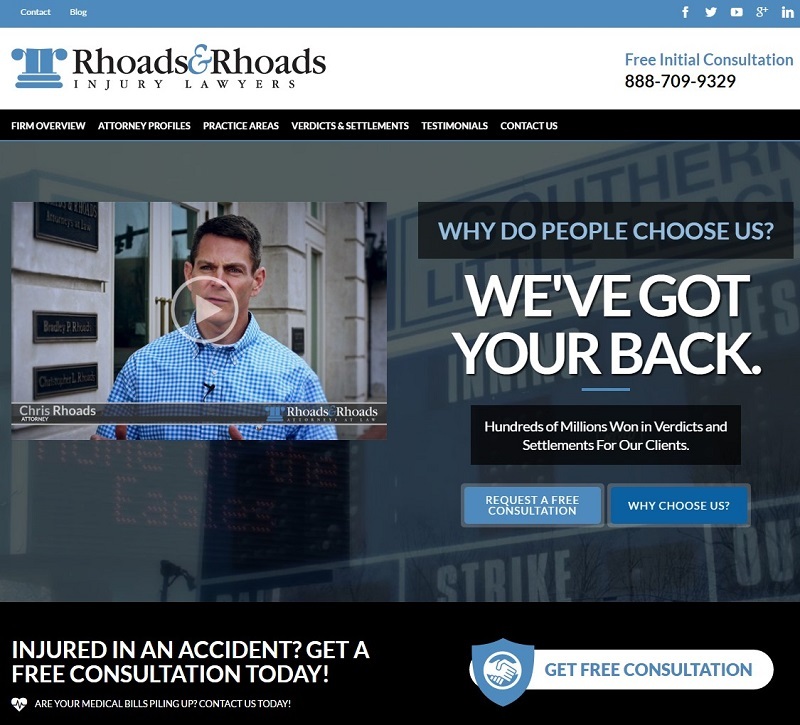 Rhoads & Rhoads is so impressed with their beautiful website and so pleased that EverEffect accomplishes everything we told them we would on their behalf. Winner of multiple awards for creative excellence, Janet Muniz is Senior Creative Content Strategist at EverEffect. Her specialties include; Creative Direction, Copy and Scriptwriting, Copyediting, Graphic Design and Media Production. If you’re interested in what it’s like to be an EverEffect client, give our posts a read. Or give us a call at 888-506-2183 for a face-to-face.